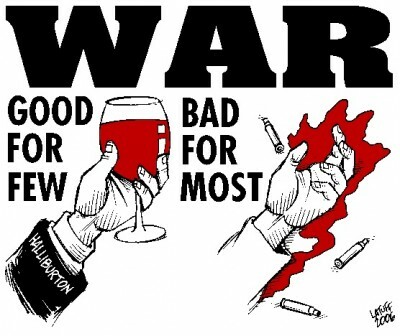 The End Of The Anti-War Movement? I have to wonder what’s up when only about 100 people turn out to meet and greet the President of The United States at an alleged anti-war rally in downtown San Francisco. There was at least five days advance notice, and Vice President Biden was in town earlier in the week, so it’s not like it was a surprise visit. No, in fact it was a $25,000 per plate (no seconds) fundraiser at the W Hotel in San Francisco. The plethora of stop-the-war, environmental, and workers rights organizations that have sprung up over the last few decades don’t seem to see the connection between their organizations mission statement, and other issues that are related to their cause. In most cases these issues are joined at the hip. There have been several disappointing turnouts at protests this year. Most of them have been organized by well established NGO’s. There was supposed to be a big anti-war protest in front of U.S. Senator Diane Feinstein’s office this Spring that never materialized. Only about 50 people showed up at Congresswoman Nancy Pelosi’s office to protest the genocide in Gaza this past August. And the Occupy S.F. Third Convergence in September was just…sad. The events that drew the biggest crowds recently in the San Francisco Bay Area were organized by groups like the Arab Resource Organizing Committee and the Arab Youth Organization. Thousands of people of all ages and ethnicities marched to the Port of Oakland to block the unloading of the ZIM ship from Israel. Earlier in the year, there was a large rally and march in downtown San Francisco to protest the ongoing genocide in Palestine, and several smaller demonstrations as well. While these rallies drew thousands of people, could the numbers reflect that many people were on spring break or summer vacation? In any event, the rogue state of Israel goes about business as usual. If the first casualty of war is the truth, the second is the environment. The March Against Monsanto protesters must also be there to march for Gaza. The anti-war movement must realize that the U.S.military is the largest consumer of oil on the planet; we are fighting wars in order to be able to fight wars. The anti- pipeline and fracking cadre has to realize that Roundup and other Big Ag chemicals are also major sources of pollution, both in their production and application. Workers rights organizations also have to fight to end the wars that are killing their family members. The money the healthcare, housing, and education NGO’s are clamoring for is currently being given to war profiteers, rogue states, and autocrats. The people’s money. Part of the problem is that many protests are driven by emotion, rather than logic. Protests tend to be large at the beginning of events like Gaza or Keystone, but then the energy dissipates. There is no end game for what is going to be accomplished, consequently there is no plan of action to get there. Demonstrations becomes social networking events, which is a good thing, and a bad thing. The good is that people actually get off their buttisimos, walk in the fresh air and sunshine, and interact with other humans. The bad is that you feel like you’ve actually done accomplished something. Having been part of a movement that actually ended a war (Vietnam), I can tell you uh, no, you haven’t. As far as I can tell it’s business as usual for the U.S. of A. And when was the last time there was an anti-nuke protest? I recorded this Fukushima “Die-In” at the Japanese Consulate, but who is protesting the irradiated fish and other animals showing up on the West Coast? The depleted uranium still being used in Iraq and Afghanistan? The displacement of indigenous communities through resource extraction? Contamination of aquifers, soils, and the atmosphere by uranium minining? The growing stockpiles, sophistication, and horror of modern nuclear weapons? Or of weapons in general, especially the “gun in every home” mentality afflicting this country? Twitter is really more like a entertainment medium than a communication tool; a great way to sell advertising and burn up cellular credits, or whatever the telecoms do to make the billions they make. There’s just too much “stuff” on Twitter, or MyFace, or SpaceBook. Maybe a simple email, text, chat, VoIP call would be more effective in mobilizing people? How about a community potluck? With pinata’s! Food, music, and children always bring people together. Advertising? Not so much. Perhaps it’s time the “anti-war movement” died. Protests are a relic of the 19th and 20th centuries. Maybe it’s time for a solutions-oriented strategy that demands “the government” perform the function it was created for. If it is incapable of meeting the needs of the people, it is obligated to dissolve itself, as called for in the constitution. A “Pro Human Rights” movement would demand an immediate cessation of hostilities, universal healthcare and education, abolition of student debt, the complete overhaul of the “criminal justice” industrial complex, starting with local police departments, food and housing subsidies for everyone, reparations for indigenous people and the descendants of slaves, decommissioning all nuclear power plants, an immediate halt to fossil fuel extraction, and the end of animal exploitation, beginning with “pets,” zoo’s, and “theme parks.” For starters. Quanah Brightman of United Native Americans told me that some of the tribes get together for a monthly “Bear” meeting. Maybe the thousands of sometimes redundant and competing NGO’s can adopt this indigenous tradition, like the founding fathers “adopted” the Iroquois constitution, or Great Law of Peace (obviously, they left something out). Currently, the powers that be have “the movement” divided and conquered. The only way anything will be accomplished is if organizations and individuals work together for a common purpose. Ending “wars and rumors of wars” is the first step to social justice for all. Joseph Thomas is a San Francisco writer, photographer, and digital media producer.